Eugene A. Woods, MBA, MHA, FACHE, is president and chief executive officer of Atrium Health, one of the most comprehensive and highly integrated not-for-profit healthcare systems in the nation. With 44 hospitals, over 900 care locations and an annual net revenue of nearly $10 billion, Atrium Health is responsible for more than 11.5 million patient interactions each year. Woods joined Atrium Health in April 2016 and quickly collaborated with the organization’s more than 65,000 teammates to unite around a redefined vision to be the first and best choice for care and a new mission statement to improve health, elevate hope and advance healing – for all. During his tenure, Atrium Health also has been recognized as one of the Best Employers for Diversity, for new grads and for Women by Forbes; number one on the list of Best Places to Work for Women & Diverse Managers by DiversityMBA; one of the 150 Top Places to Work in Healthcare by Becker’s Healthcare; and the number one military-friendly employer in the country. In addition, the organization has been recognized by U.S. News & World Report, Leapfrog Group and the American Nurses Credentialing Center as among the very best in the nation and honored by the American Hospital Association with the Equity of Care Award and one of the first-ever Quest for Quality honors. One of today’s most prominent leaders in healthcare, Woods is passionate about protecting and expanding access and coverage to all Americans, better engaging with our communities to advance positive health outcomes and achieving equity of care by eliminating disparities. He has long been active as a leader among his peers in the American Hospital Association, including a term as chairman of the board of trustees in 2017. 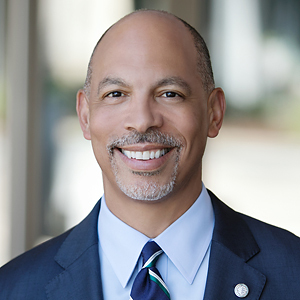 Woods also currently serves on the boards of the Federal Reserve Bank of Richmond and Best Buy, and is a member of Becker’s Healthcare’s Advisory Board, and the Wall Street Journal’s CEO Council. Woods has more than 25 years of healthcare leadership experience, having overseen non-profit and for-profit managed hospitals, academic and community-based delivery systems and rural and urban facilities. He previously was president and chief operating officer of 75 clinics and outpatient centers, and 30,000 associates, where he oversaw acute, post-acute and international operations for facilities in the United States, Mexico and Chile. Previously, he served in dual roles at Catholic Health Initiatives – as CEO of Saint Joseph Health System and as senior vice president responsible for implementing national initiatives for the faith-based organization, which operates in 18 states. Prior to that, he served as COO of MedStar Washington Hospital Center, a 968-bed teaching hospital located in Washington, D.C. Recently, Woods was renamed as one of the 100 Most Influential People in Healthcare, taking spot No. 25, as well as one of Modern Healthcare’s Top-25 Minority Executives in Healthcare for the fourth consecutive year. His numerous professional distinctions also include being named one of the 50 Great African American Leaders as well as one of the 100 Great Leaders in Healthcare by Becker’s Healthcare; one of the Most Influential Blacks in Corporate America by Savoy Magazine; one of the Most Powerful Executives in Corporate America by Black Enterprise; one of the Most Admired CEOs of 2018 by the Charlotte Business Journal; Senior Executive of the Year by the National Association of Health Service Executives; and Alumni of the Year by the Pennsylvania State University.